As was announced at Apple’s annual WWDC event, the new iPhone 3G “S” will be released in Canada June 19, 2009! ITS FINALLY HERE! Check out the fun TV ad! 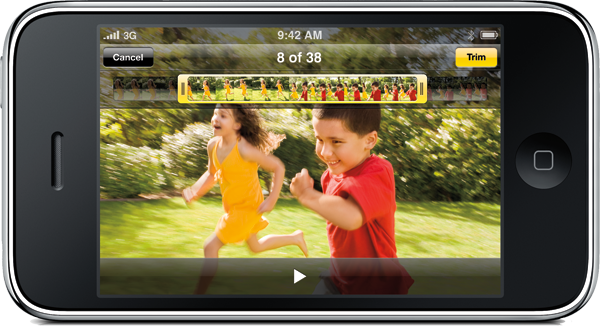 Both Rogers and Fido will be releasing the iPhone 3GS on Friday June 19, 2009. That means you have a little over a week to get all of your launch stuff ready and get to your local Rogers or Fido store! I anticipate lines will be much smaller this year mostly because everyone who bought on iPhone 3G on July 11, 2008 will have to wait until atleast July 11, 2009 to upgrade again, unless Rogers and Fido pull a fast one and change that policy. However, if you did not get an iPhone 3G last year and are eligible to upgrade or are a totally new customer to Rogers/Fido, then you will be able to get the iPhone 3G “S” without a hitch. In any case, you can bet stock will be short, so get there fast and get there early! The iPhone 3G “S” is coming in a few different flavors but will keep the existing 3 year contract pricing of $199/$299 so long as you have a voice plan that is $30.01 or higher, regardless of any data plan option (you don’t even need to buy a data plan to get the iPhone 3G “S”). The prices below will all reflect the requirement of a voice plan that is $30.01 or higher. If your voice plan is $30.00 or less, add $50 to the price. With either Rogers or Fido, you will need to sign up on a 3-year contract to be eligible for the iPhone 3G “S” and choose an available voice or voice and data plan. You can check out the available Rogers plans for June 2009 here. If you are a current Rogers/Fido customer, most of you iPhone 3G owners will have to wait until atleast July 11, 2009 or later to upgrade, which will mark your one year into your contract. However, if you did not buy the iPhone 3G at all or are eligible to upgrade, then you can get the iPhone 3G “S”. The reason you pay $100 more is because you are only one year or less than two years into your contract term and your accumulated discounts are not high enough to enable promotional pricing. If you watched the WWDC keynote, the iPhone 3G “S” is mostly made up of minor upgrades such as a 3.0 MP camera that now includes video recording and autofocus. For more details about the specifications, check out our Apple WWDC roundup. Considering the upgrades (partial feature list here and at Apple here) to the iPhone 3G “S” over the existing iPhone 3G, will you be updating your iPhone to the 3G “S”? Post your comments and opinions below. Apple WWDC 2009 Roundup; iPhone 3G “S”!